Curtis James Jackson III (born July 6, 1975 in South Jamaica, Queens, New York), better known by his stage name 50 Cent, is a Grammy award nominated rapper, actor, singer, entrepreneur, author and founder of the hip hop group and label G-Unit. After leaving drug dealing to pursue a rap career, he released his debut album Guess Who's Back? in 2002. He was discovered by Eminem and Dr. Dre and then signed to Interscope Records. He has since released 2003's Get Rich or Die Tryin', 2005's The Massacre, 2007's Curtis and 2009's Before I Self Destruct. Before 50 Cent ever inked a major deal, he built up a substantial fan base in New York through underground mixtapes. 50 Cent met up with Jam Master Jay of Run-DMC and was signed to his label to write all of Jay's music. After he'd left JMJ, he signed to Columbia Records in 1996. On this label, he released Power of the Dollar, and the singles How to Rob and Ghetto Qu'ran. Columbia Records released him from the label after being shot on May 24th, 2000. Around this time, Eminem had heard one of 50 Cent's demo tapes and expressed a huge interest in him on MTV, as did Dr Dre. Shortly after this, 50 Cent officially signed to Interscope Records. He was the first rapper to sign to the joint label owned by Dr Dre and Eminem. The first song he released on this record was entitled Wanksta and was featured on the 8 Mile soundtrack. In its first week of release, his debut ?Get Rich Or Die Tryin'? sold 872,000 units - easily reaching Gold status. Within the second week it went Platinum (1 mil) and on April 12th, 2004 the RIAA certified it six times Platinum. 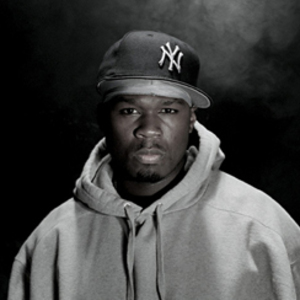 In 2005 he followed the success of his album Get Rich or Die Tryin' with a new release - The Massacre (originally called St. Valentines Day Massacre until the release date was pushed back). The first single released off this, Disco Inferno, was a huge hit - he followed this hit up by the release of Candy Shop and then again with Just a Lil Bit.